Today 9th April 2014 is the last date to enroll your name in voter list. 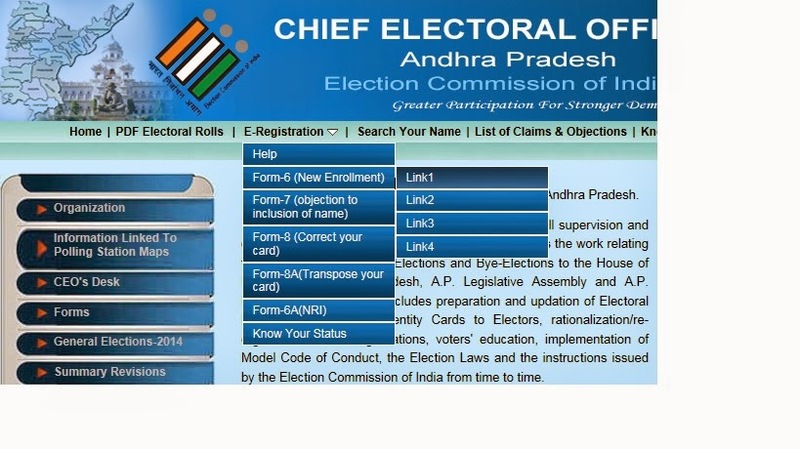 Once the website opens you go to E-Registration - Form 6 (New Enrollment) and than click on any of the 4 links and your online application for applying Voter Id Card opens as shown in the below screen shot for your reference. You should have the personal details handy like Your Full Name, Father Name, Date of Birth, Age and Residential Address. You should have the photograph scanned and upload image. Once you are done with filling online application click on save and submit.